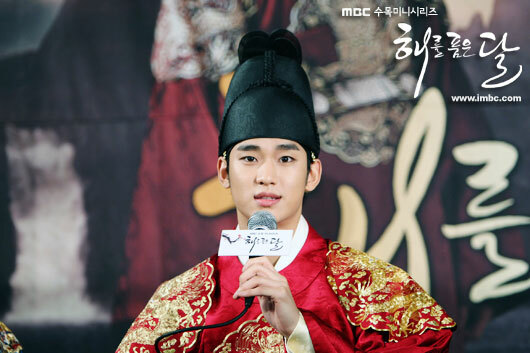 Kim Soo-hyun expressed his thoughts at the end of the MBC TV series The Moon that Embraces the Sun. Kim Soo-hyun perfectly demonstrated the boldness of the king through the role of Hwon in The Moon that Embraces the Sun. Before then, Kim Soo Hyun has been giving the feeling of innocent boy, this time, he challenged the role which is completely opposite with his image, winning critical acclaim. Kim Soo-hyun is expected to rest for a short while before selecting his next project.